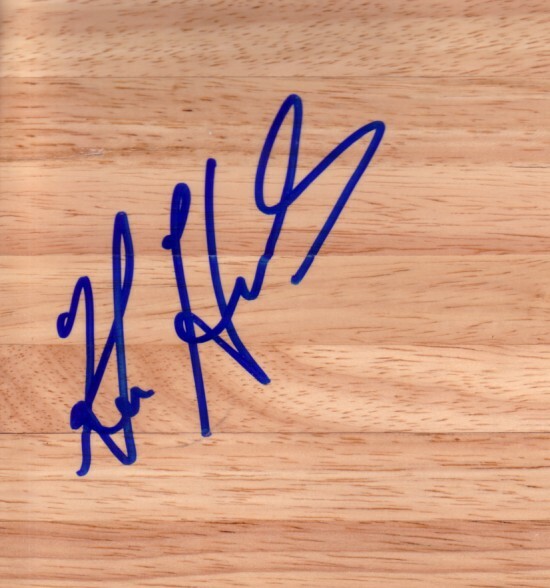 6x6 hardwood floor tile (similar to basketball court) autographed in blue marker by actor Ken Howard, most famous for his starring role as a basketball coach in The White Shadow. Obtained in person at celebrity golf tournament. With certificate of authenticity from AutographsForSale.com. ONLY ONE LEFT.